Spring really is just around the corner. Really! It is the time of year when we all start thinking about our spring and summer wardrobes. As most of you know 22 Shades of Gray launched our Home Party division last year. I am having so much fun introducing my latest fashions live and in person. Let me share with you a couple of pictures from my most recent home party. This beautiful pink collage pullover is made from 100% Lycra. It sports a very unique form. One side is shirred up with a short sleeve and the other sleeve is long and tapered. It comes in a wide variety of colors. Easy to wear and easy to travel. Wash and dry and wear. This little jacket is reminiscent of a 1930’s design and one of my most popular jackets. It sports a contrast back belt, lapels, cuffs, front pocket bands and bound button closure. 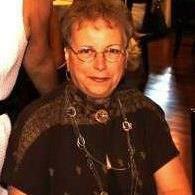 It also has 3/4 length sleeves that allows you to show off your beautiful jewelry. These jackets are almost always one of a kind and can be worn in several different ways. With the cuffs rolled up or down, one lapel up or both lapels up with a broach closure. You can see how much fun these ladies are having modeling the beautiful designs for themselves and each other. 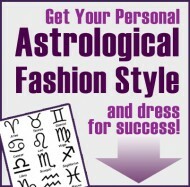 Get your personalized astrological style TODAY! Find out how your personality influences your style of dress. While nothing is written in stone, all Astrological signs have their own signature style that says something about who they think they are or want to be. By signing up for my mailing list you will INSTANTLY receive my FREE e-book, Design for Your Sign.